Milan might be the most under-appreciated city in Italy. But if you’re the type of person who likes to step off the well-trodden tourist path, it’s one of the most rewarding to visit. From the spectacular Cathedral and Pinacoteca di Brera art museum to the world class bars and restaurants, Milan is packed with wonders. If you want to come see them with us, check out our Milan tour page. 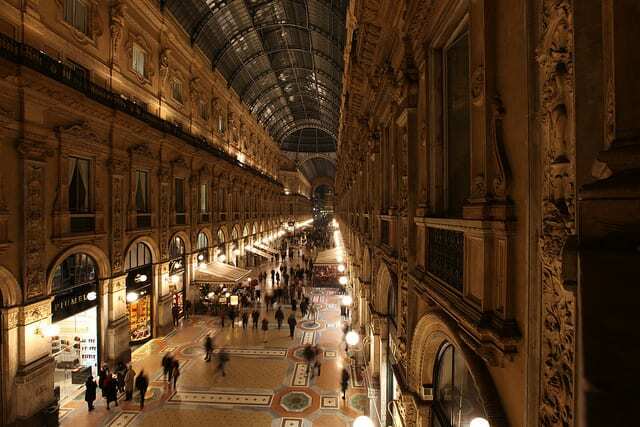 If you love cothes, shopping in Milan is an quintessential experience. But what many travelers don’t realize is that it has shopping options for any price point. 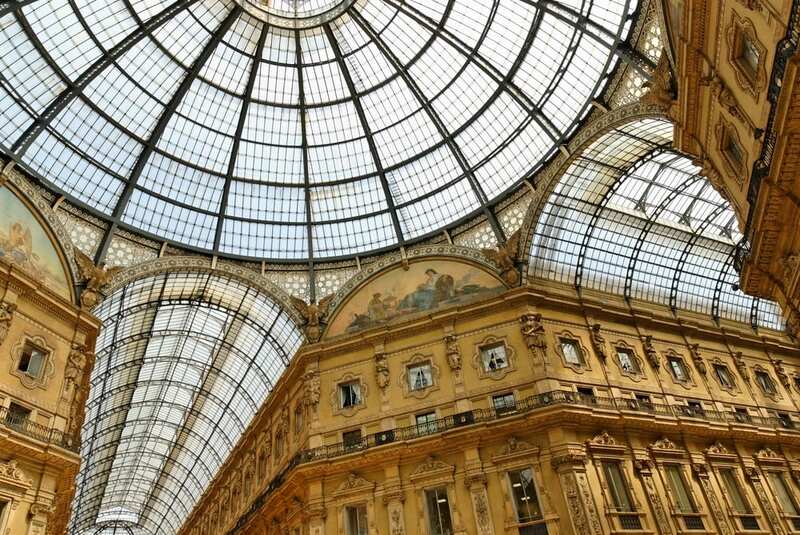 As one of the capitals of global fashion, Milan is home to top-notch designer stores, boutiques and outlets ranging from the uber-expensive, to the very affordable while still maintaining the quality and elegance that Italian fashion is famous for. If you’re planning on enjoying the Milan shopping scene, remember that timing is important! Large stores usually are open daily, while smaller shops may be closed Sundays and on Monday mornings. And if you love getting great deals on the hottest trends, plan to be in Milan in either January or July to take advantage of the saldi (seasonal sales)! Want to know where to shop in Milan? Read on for our must-see shopping stops! The name of this quarter means “Golden Rectangle”… and it couldn’t be truer! Made up of four streets of pure fashion, the Quadrilatero d’Oro is every shopaholic’s dream. Head to the Via Montenapoleone, Via della Spiga, Via Manzoni or Via Sant’Andrea for the best of haute couture, with famous names including Armani, Prada, Versace and Roberto Cavalli. Can’t splurge? No problem! Whimsically-decorated windows give you a sense of the season’s top trends—the perfect inspiration for finding the looks on your own budget. The Galleria Vittorio Emanuele isn’t just a shopping mall, but an architectural gem! Indulge at the historic, family-owned boutiques and designer stores in this arcaded Art Nouveau gallery. Built from 1865 to 1877, the Galleria Vittorio Emanuele is the oldest shopping mall in the world (that’s currently standing, anyway). So it’s a historic sight and architectural gem that non-shoppers will want to see, too. Take a break from shopping to admire the mosaic marble floors and architecture and sip some caffé (espresso)—you’ll need the energy! (Note that, currently, some of the gallery’s shops are under construction; they will be opening in the next few months). 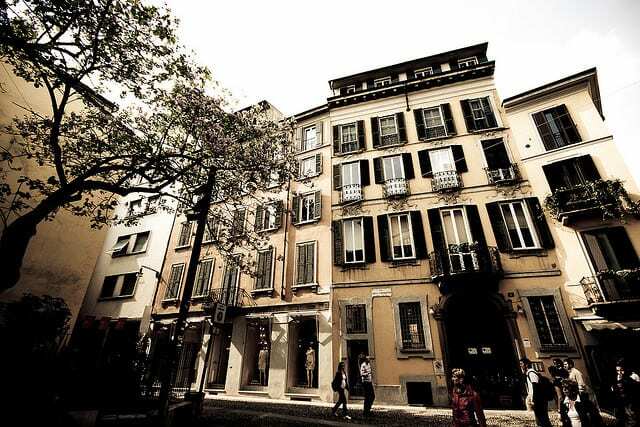 Head to the area near the Duomo to find some of Milan’s best shopping! To pack as much shopping variety into one or two stops as possible, hit up the area around the Duomo. Across multiple floors, both Rinascente and Excelsior offer clothing and beauty items, as well as coveted design and technology objects, jewelry, and fabulous restaurants and gourmet shops. While you’re there, don’t forget to check out the the Duomo. Just another church? Hardly. 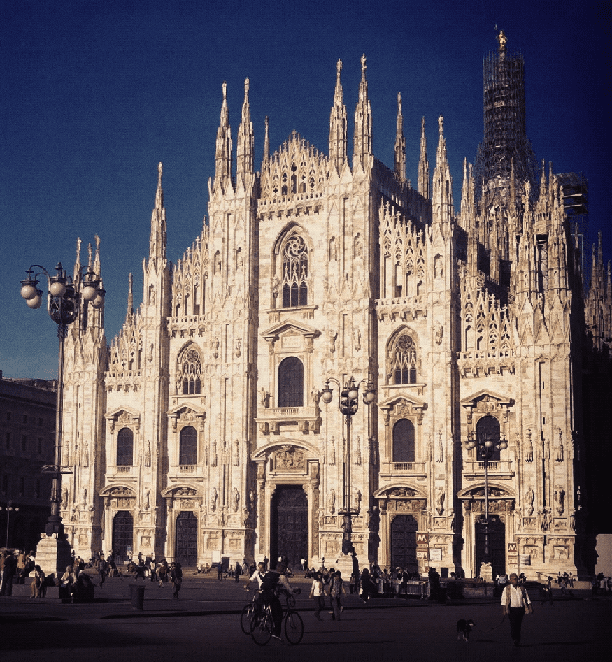 Here’s why Milan’s Cathedral is a can’t-miss sight. Known for its art galleries and bohemian vibe, Brera’s small boutiques offer some of Milan’s finest “Made in Italy” fashions. Don’t forget to head to Brera’s open-air markets to scope out the one-of-a-kind pieces sold in the stands!We especially love the market at Via San Marco on Monday and Thursday mornings. Also nearby, a great option is the Via Fauche’ market, open on Tuesday and Saturday mornings. To get to Brera, take the MM2 line to Lanzo or Moscova. If you want tout our the neighborhood with an expert guide, take a look at our Milan in a Day Tour. 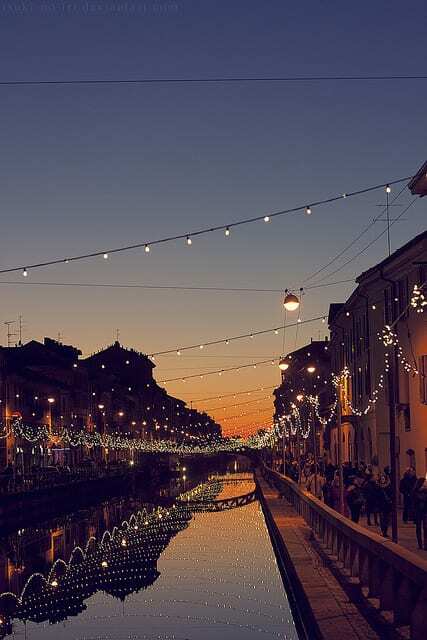 Milan’s canals are one of the city’s most popular destinations for aperitivos. (Our blog on how to drink aperitivos will teach you how to enjoy this magical hour in Northern Italy) like But the area’s great for shopping, too! Unique boutiques hide everywhere, but are especially centered around the Porta Genova neighborhood (you can get to Porta Genova on the MM2 line). In particular, don’t miss Porta Ticinese and Via Torino for funky shops, or the Via Tortona area for hip design showrooms. Corso Buenos Aires is thought to be home to the largest concentration of stores on one avenue in all of Europe. But don’t expect high-fashion flagships or independent boutiques here. Instead, it’s one High Street store after another, with more than 350 international ready-to-wear brands and sporting goods stores! In all honesty, we’d much prefer that you check out Milan’s independent boutiques (after all, you can go to H&M almost anywhere!). But if you must get your chain-fashion fix, get here by taking the MM1 to Porta Venezia or the MM1 or MM2 to Loreto. Looking for labels… without the hefty price tag? Head to the city center for smaller-scale outlets like the Corso Como 10 Outlet (take the MM2 to Porta Garibaldi), D Magazine (MM3 to Montenapoleone) and Il Salvagente (in the Corso XXII Marzo area; take the 92 bus to the Piceno stop). We also love the secondhand and vintage shops like Mercatino Michela (take the MM3 to Montenapoleone) which features off-the-runway items and pieces from designers like Dolce & Gabbana, Giorgio Armani and Versace with discounts of up to 75% off! Ask about their vintage collection for tailor-made suits from the 70’s and Mila Schön dresses from all different decades. We also recommend Memory Lane, and Lipstick Vintage for vintage lovers. Want an even bigger selection? Check out our blog on Milan’s world-class outlet malls, located about one hour away. Hi, is there tax-free shopping in Italy? Yes, there is! You can read all about it here. Safe travels!